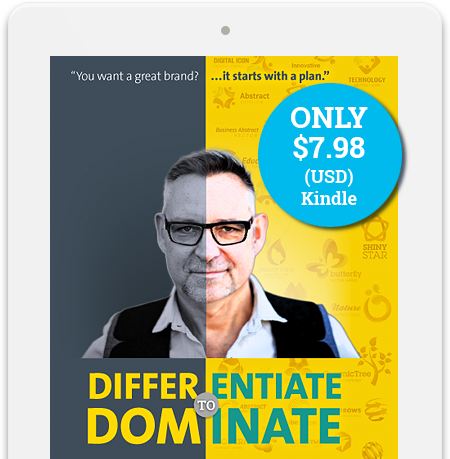 Find out why differentiation is the key to your success and how to develop clear and compelling reasons why prospects should buy from you. Discover the steps to building a great brand and leave the endless grind of running your business. In today's competitive markets, clarity and focus around what you stand for is key. A well thought through Brand Strategy helps you leap ahead of your competition. 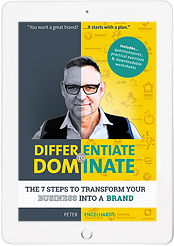 Differentiate to Dominate is for SMEs and entrepreneurs who want to know the strategic steps to achieving long-term success. Consisting of two distinct parts, Peter firstly introduces us to the history and concept of branding, and helps to demystify the often misunderstood discipline of ‘brand strategy’. Using simple language and current facts and case studies, he demonstrates how thinking strategically is critical if you want to prosper today in a meaningful and tangible way. 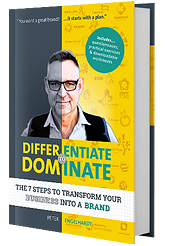 The second part of the book outlines a simple process he developed to help passionate business owners who want to build a meaningful brand their customers will love using a strategy first approach. It is based on years of his research into how every great brand and Fortune 500 company – think Virgin, Apple, PayPal and Amazon – grow to their dizzying heights. Using his insights into the processes and disciplines they all leverage, Peter outlines his step by step formula for the reader to follow. With solid and strategic foundations in place, your focused efforts will enable you to grow your brand faster than if you take the ‘throw some mud on the wall and see what sticks’ approach. By understanding the problems your clients are experiencing, and demonstrating that you have the solutions to overcome them, you build loyalty and create advocates for your brand. By creating a distinct and sustainable competitive advantage your brand will cut through the “noise” and be remembered for its uniqueness. Understanding what your brand stands for will ensure that everything you write, post and comment on will reinforce your brand’s positioning and touch the hearts and minds of your prospects. With a clear Purpose, Vision and Pillars guiding you, you’ll attract team members who believe what you believe and who will feel empowered to make decisions autonomously to support you. A clear understanding of your target market will help you focus your resources and messages and get the most out of every dollar and hour you invest in promoting your brand. A well thought through Brand Strategy delivers the clarity & focus to help you stand out to stand apart. You may have often heard it said that there are only two certainties in life, death and taxes. Thanks to the online revolution we can now add ‘increased choice for consumers’ and, as a result of that increased choice, ‘increased competition for businesses’. When I was a young child, a distant family member visited us from Estonia and though I don’t remember everything about her visit, one thing has stuck with me all these years. As we were showing her the local shops, we passed a monstrous hardware store that had an immense array of products displayed in the window. Our visitor, who lived under Soviet rule, assumed that as wealthy westerners we owned every type of item she could see in that window. Now while that seemed a little bizarre at the time, it’s become closer to the truth than we care to admit. I was lucky to grow up in a society where personal choices were allowed and encouraged, but when I was growing up the number of choices an individual had was still fairly limited. Back when my parents bought their first car they could choose from a Ford, Holden or a second-hand Vauxhall. Today, however, it’s a very different story. At last count, today there are over 300 different vehicles on the market. In Al Ries and Jack Trout’s book ‘The 22 Immutable Laws of Marketing’, the authors identified the ‘law of division’ to explain the current explosion of choice. They view the market as an ever-dividing sea of categories, not unlike an amoeba dividing in a petri dish. A business category always starts with a single choice or entity. Automobiles are a great example. The motor car was invented in Europe (Germany, to be specific), and at the start of the 20th Century, all motor vehicles were built one-by-one using the ‘coach-building’ method. But in 1908, Henry Ford transformed the car manufacturing industry. He started with the premise that for more people to be able to afford cars, cars needed to be cheaper. This idea sounds simple enough, but in reality, it meant bringing the cost of a car down from around $4000 (twice the average annual income at the time) to less than $1000. To achieve this Henry introduced the ‘assembly line’ for motor vehicle construction. By claiming that Model T could be bought in “Any color … so long as it is black”, the Ford Motor Company was able to grow sales from 10,000 cars manufactured in 1908 to 472,350 cars in 1915 to 933,720 cars in 1920. Gradually, however, the market began to expand. Along came Chevrolet, Chrysler and Plymouth in the early 1950s, and eventually the European and Japanese car manufacturers sprang into the market. Two-door cars, SUVs, station wagons, sports cars, high-performance cars and four-wheel drives are now options, and now China is adding to our choices. The same effect can be seen in the computer industry. The first personal computer manufacturer was ‘the big blue’ – IBM in partnership with Packard Bell. Fast-forward a few years and not only do we have dozens of computer brands, we have a confusing range of desktops, laptops, tablets, watches and wearables. If you walk into a supermarket or a huge big-box superstore today, the myriad of choices assault the senses. For those of us running a business it’s important to note that this explosion of choice has proliferated into every market segment and will continue to do so. Have you ever stopped to think how Apple, DHL or Virgin became such dominant empires in so little time? Have you considered how the Nikes of the world get each moving part of their business, from their branding and design through to their marketing and PR, so in sync? Their brand, mission and products move with the precision of a fine Swiss watch. Smaller companies, however, often struggle with integrating branding into their planning process. This is understandable, as most small business owners do not have a marketing degree or practical branding knowledge and experience, and it is this lack of education that often limits business growth. Sure, if you’re flush with cash you can bring in a large marketing and PR firm to create and execute a brand strategy based on your vision, but what about the rest of us with smaller budgets? Is there a way for us to create and nurture a brand? Of course there is. I have spent ten years studying dominant brands to identify what they have in common, and I have discovered that much of what they do has nothing to do with the size of either their company or their budget. The following are key points when studying and learning from dominant brands. There are only two ways to approach branding: branding that positions a product as a solution to the customers’ wants and needs as they already exist, or branding that steps up and says, ‘I want to change people’s lives, change perceptions and change the way people spend their day.’ If you think about it, almost all great brands changed something. Brands that make waves, big waves, reap the rewards. TED made waves, Cirque du Soleil made waves, and in their own market Bunnings made waves, all by bringing something new and unique to the table. On the other hand, Masters (a failed competitor to Bunnings) was merely following a trend and paid the price. If you want to start a home improvements organisation, you better be prepared to take large risks in order to create big waves in an already competitive market, because if all you are doing is following it, you’re following it down. That’s not where you want to be. Running a business or building a brand comes with a certain amount of personal risk. What are you prepared to risk to build your dream brand? Brands that get noticed often break values or traditions. The Voice and The X Factor have had to cop a lot of criticism from within the music industry to make waves and make their creators very rich. Where are you prepared to show up and what are you prepared to say? Moving forward and going out to the world with an idea that changes industry norms has many risks, and you’re more than likely going against somebody’s better judgment, so be prepared for flak from partners, the bank, your community, or even the press. How do you rally the troops or find believers and supporters? How do you get people to believe in what you believe in, driving them to help you succeed and grow? What if I suggested taking a leaf out of the politicians’ book? Find an enemy and leverage it! To galvanise support we often see politicians identifying and attacking an enemy – gun laws, street violence, hospital waiting lists. Why? Because it’s a great tactic to bring together people who share a common mind; it stirs up feelings of being on the same team and provides a clear focus. So how do dominant brands create and execute their brand strategy? 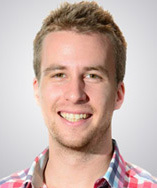 How do they connect with their prospects at a more emotional level? Firstly, they never begin with design! Let’s face it, it’s tempting just to start printing out business cards, pop out a website and start hunting for clients. It’s tempting to start trading and getting money into the door, but that’s a huge mistake. By jumping in and simply starting your business (sound familiar? ), you’re missing the first and most important step: crafting your strategy. The imagery, style and colours you choose for your marketing collateral and website may show the world what you look like, but what about the most important aspect of your business: who you are, what you stand for and why should somebody buy from you? 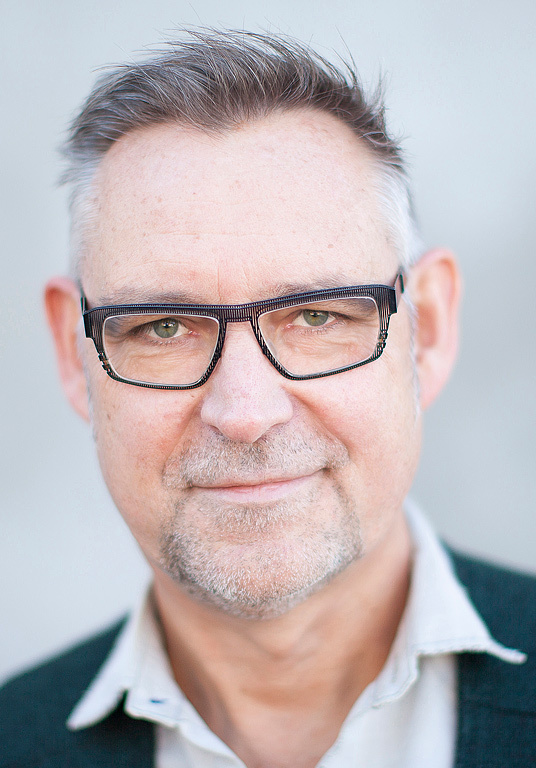 Having worked intimately with both international brands and SME’s for over 30 years, I’ve thought a lot about why smaller businesses often jump in and simply start, while the fortune 500’s of the world take a completely different approach. Great brands have a strategy first approach. SME’s have a tactics first approach. Once the domain of the world’s biggest brands, a strategy first approach has never been more important if you want to build long-term success. Loosely referred to as a ‘strategic branding’, or creating a ‘brand strategy’, it’s involves a planning process that applies innovation, strategic thinking and operational planning to develop business strategies that have a greater chance for success. Nobody would build a house without a detailed plan, so surely the same principle applies to businesses? So what is a brand strategy? It is a process of examining everything you do and understanding the needs of your customers and ensuring that all of this is linked to clearly defined strategic imperatives. Strategic Thinking – that’s the “What” and the “Why”, that is what should we be doing and why. Strategic Positioning – that’s the “How” you will compete in the market and differentiate. Operational Planning – the specific goals, objectives and tactics at a high level. The purpose of a Brand Strategy is to create a roadmap, or a plan, that is a coherent, unifying, integrative framework for decisions. Especially one that influence the direction of the business and its competitive advantage. Unfortunately, however, when most small-business owners hear the words ‘brand,’ ‘brand strategy’ and ‘positioning’, they think ‘big brands.’ They shake their heads and lament that they don’t have the resources to do big-brand marketing. Learn the keys to differentiating your business & building the brand foundations that successful companies use to dominate their market. Working as a brand strategist over the last 30 years, my Purpose has always been to help my clients to do amazing things in the World. As an optimist fascinated with the evolving ways we communicate, I find a consistent theme is how successful we are at adapting to change. Many of the leading brands we know and love are good at this. Being big and powerful is an advantage, yes, but continued success and growth are only possible by defining a ‘clear and focused brand strategy’ based on market, buyer and competitor insights. This is where many SMEs fall down – in not understanding the value of defining a Brand Strategy. And I’m not talking about marketing tatics, which often gets confused as strategy. I’m talking about the core foundations and beliefs every brand should possess. These statements and expressions form a roadmap bringing meaning and clarity to guide and drive business decisions. Embedded within, they inspire employees to win over buyers by delivering experiences they love. These fundamental components are at the core of every successful brand, whether big or small. I passionately believe more SMEs will enjoy longevity and prosperity if they understood, planned and implemented a long-term Brand Strategy. The development and implementation of Plan2Brand – an online self-discovery eTool that teaches business owners how to craft a clear, focused and meaningful Brand Strategy Roadmap. Working with clients through my strategic brand and marketing company Creative Brew. 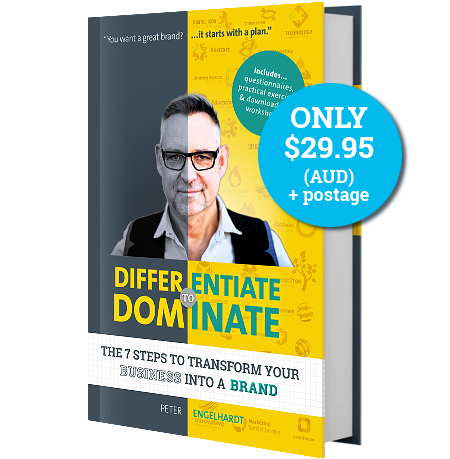 Conducting branding workshops through my partnership with The Entourage, Australia’s leading educator of business owners and aspiring entrepreneurs. Creating a podcast series and associated book of branding wisdom with sale profits going to KIVA, an international not-for-profit organisation that connects people through lending to alleviate poverty. Creative Brew | All rights reserved. 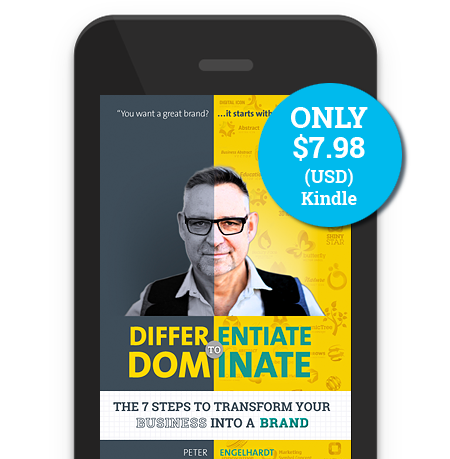 Differentiate to Dominate by Peter Engelhardt © 2017. All rights reserved. No part of this book may be reproduced in any written, electronic, recording, or photocopying without written permission of the publisher or author. The exception would be in the case of brief quotations embodied in the critical articles or reviews and pages where permission is specifically granted by the publisher or author. Although every precaution has been taken to verify the accuracy of the information contained herein, the author and publisher assume no responsibility for any errors or omissions. No liability is assumed for damages that may result from the use of information contained within.